Inspiring nature connection through guided forest experiences. What is Forest Therapy & Shinrin Yoku? What happens on a Forest Therapy walk? 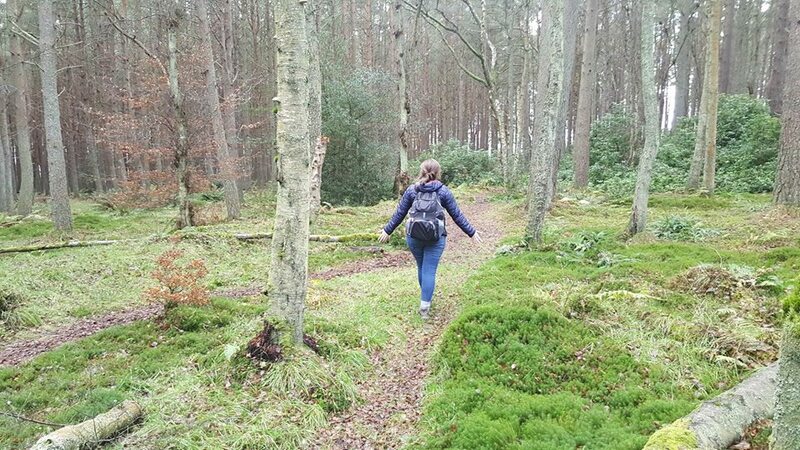 Why walk with a trained Forest Therapy Guide? Depression is a common mental health disorder that causes persistent feelings of sadness, loss of interest, inability to experience pleasure, hopelessness, isolation, restlessness and lack of energy, among many other symptoms. It affects how you feel, think and behave and impacts our emotional and physical health enormously. Spending time in nature has many proven health benefits that we have known about for some time. However, as a society we seem to have largely forgotten about them. One of these many benefits includes alleviating feelings of depression and anxiety in adults and children. As a species, human beings have been deeply connected with nature throughout the ages for a variety of reasons: foraging for food, hunting, spirituality, and medicine, to name a few. Yet nowadays, as we immerse ourselves more and more in concrete jungles (busy cities), our ever demanding work schedules and electronic communications, over time we have lost touch with the deep calm and comfort that even a few hours spent in a green space provides. From personal experience of challenges with mental health over the years, I highly recommend that if you are suffering from depression or anxiety, whether it has been a short or longer term issue, finding ways to spend more time outside will do you a world of good! I can say that with 100% confidence. Please remember that if you are suffering from severe mental health issues, working with trained mental health professionals is incredibly important as far as diagnosis, appropriate treatment and support is concerned. My deep love of nature was inspired as a child from spending the summer holidays in the Lake District or the Highlands of Scotland: camping, roaming, climbing trees, fishing, building dens, and all sorts of childly shenanigans! I have always felt a calling towards returning to the outdoors when I feel down, lonely or stressed. Even sitting in the same spot or taking a slow walk for 20 minutes in a local park a few times a week, simply noticing what’s happening in the natural world around me, has a profound way of soothing the anxiety that our fast paced lives create. The best part being that Nature aka ‘Vitamin N’ is easy to do, and it’s free with no side effects! Miles better than a prescription of citalopram, if it can be avoided! What I love about practicing Forest Therapy is that, not only do you benefit from the fresh air, connection with wildlife and calming the mind, you also have the opportunity to share the experience with others in a community setting. On a Forest Therapy walk we include brief meetings or “councils” where participants have the space and opportunity to share with the group about their experience. Many people never get the opportunity to share their experiences in nature with others, and the welcoming and witnessing of these stories, feelings and experiences can be deeply nurturing for individuals. Everything and everyone is welcome in the forest! So, however you wish to spend time in nature, I hope this brings some motivation and inspiration for self-care and falling in love with the outdoors! Remember – Vitamin N is a wonderful way of treating depression. 1. Vos, T., Barber, RM., Bell, B., Bertozzi-Villa, A., Biruyukov, S., Bollinger, I., …Murray, CJ.. (2013). Global, regional, and national incidence, prevalence, and years lived with disability for 301 acute and chronic diseases and injuries in 188 countries, 1990-2013: A systematic analysis for the Global Burden of Disease study. The Lancet, 386(9995), 743-800.
strategies, 2nd Edition. London: Sage. Next PostWhat is the practice of “Council” in Forest Therapy, and why do we do it? What is the practice of “Council” in Forest Therapy, and why do we do it?